Three hundred years ago, Fjalla-Eyvindur and his wife stumbled upon Hveravellir. Eyvindur was anoutlaw on the run. In the middle of the frozen winter, they had found a safe haven. For in the ice and snow, against all odds and expectations, a hot spring bubbled, heated by the lava raging below the surface. The ancient volcanic rock of Iceland had saved them. Fed by the warmth of the spring and living off the land, the two survived the winter, and many winters after, their story turning into legend. To this day you will find many places in the country named after them, the outlaws who surrendered themselves to nature, not man, and let nature save them. 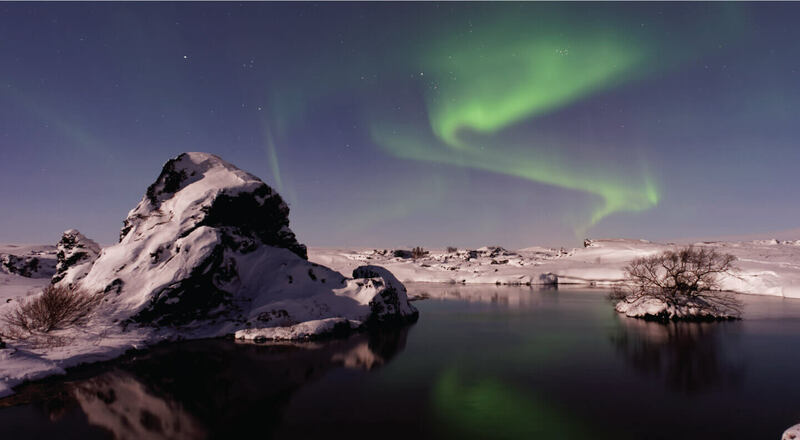 The snow falls thick and fast around Hveravellir, smothering the countryside with a blanket of glittering white flakes. It is fenced in by the immense glaciers Langjökull and Hofsjökul. Yet, through the huge drifts come hardy 4×4 trucks, shovelling the snow away and powering over the icy roads. For at the very top is a hut that looks out over the hot springs. The springs are a wonder in themselves. 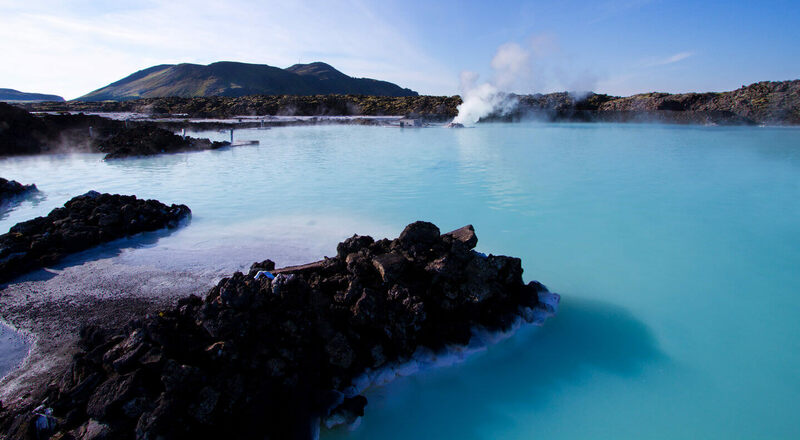 A trek across the geothermal fields will reveal sputtering, hissing fumaroles and brightly coloured pools of hot water. The minerals in the land and the water combine, giving each pool its unique, unlikely shade, and every pool has its own charming, lyrical Icelandic name – Bláihver, Grænihver, Rauðihver, Fagrihver and Gamli Fagrihver. At the edges, geometric patterns form, some of them so perfect that it seems almost unbelievable that they were not carved by men. Treks through the snow reveal further delights – the hidden cave which the outlaws made their home and the volcanic rift that they turned into a sheep pen. Another ramble reveals Oskurholshver or the shrieking mound, an oddity that screeches and roars as the steam from below the surface escapes. The fields of frozen lava rock form strange, wonderful shapes, showing us that even in the age space travel, the Earth has the constant ability to surprise us. In the nights, when the weather is right, the aurora borealis lights up the sky, the guides begin to tell stories of the trolls and elves of the mountains, and if you listen closely, you can almost hear Halla, the outlaw’s wife sing her sweet, tragic lullaby.